• Single head orbital welder. • Pipe size range 4″ (102mm) to infinite. • Vertical Movement range: 2″ (51mm) motorized. • Welding power source interface. 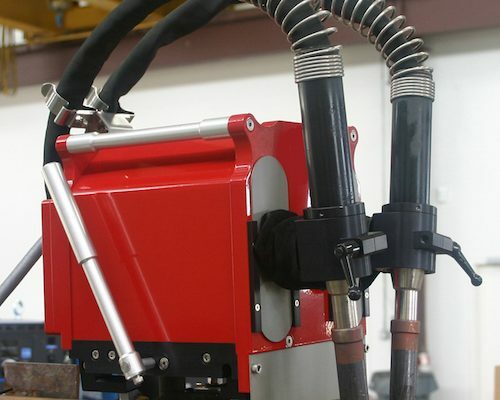 • Ability to weld all passes & processes with one system.